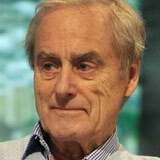 Sir Harold Evans is the chair of the jury. He is one of Britain’s most famous and feted editors. He first edited the Northern Echo in Darlington before moving to edit the Sunday Times in London for 14 years, where his campaigns – for example, on behalf of thalidomide victims – made headlines and helped change laws. He was briefly editor of The Times thereafter, before moving to the United States, where he has served as publisher at Random House and editorial director of several publications, including US News and World Report. He is a noted historian of American life and a world authority on newspaper design techniques. Sir Evans is currently editor-at-large for Reuters.